We’d love your help. 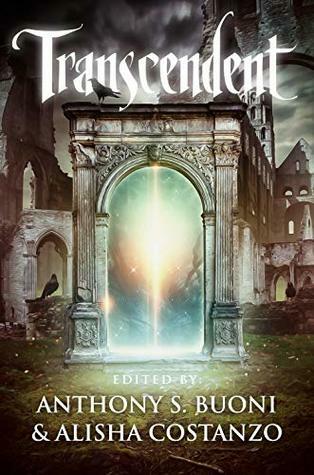 Let us know what’s wrong with this preview of Transcendent by Anthony S. Buoni. Many have tried bri A parallel dimension exists below the surface of reality. Living and creating in New Orleans, Louisiana, Anthony S. Buoni haunts swamps and bayous along the Gulf of Mexico, writing, editing, producing, and lecturing about his craft. A practicing pagan, he's responsible for the BETWEEN THERE anthologies as well as his screenplay-novel, CONVERSION PARTY, available through PULPWOOD PRESS. Recently, he's co-edited and co-produced two exciting anthologies wit Living and creating in New Orleans, Louisiana, Anthony S. Buoni haunts swamps and bayous along the Gulf of Mexico, writing, editing, producing, and lecturing about his craft. A practicing pagan, he's responsible for the BETWEEN THERE anthologies as well as his screenplay-novel, CONVERSION PARTY, available through PULPWOOD PRESS. Recently, he's co-edited and co-produced two exciting anthologies with Alisha Costanzo with their independent imprint, TRANSMUNDANE PRESS: DISTORTED: vol 1 and UNDERWATER: vol 1.